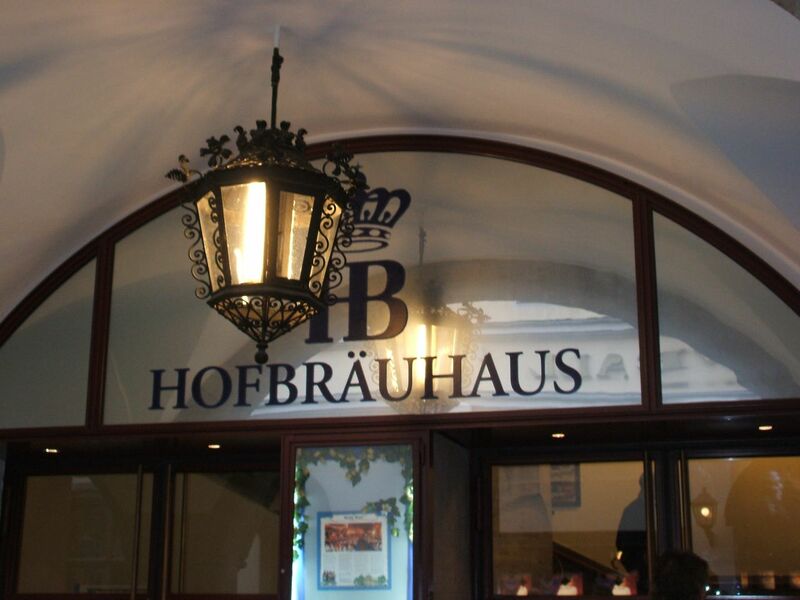 This entry was posted in Beer, Reviews and tagged bavaria, beer hall, berlin wall, dunkel, hofbrau beer, hofbrauhaus, lager, munchen, munich by storiesbywilliams. Bookmark the permalink. 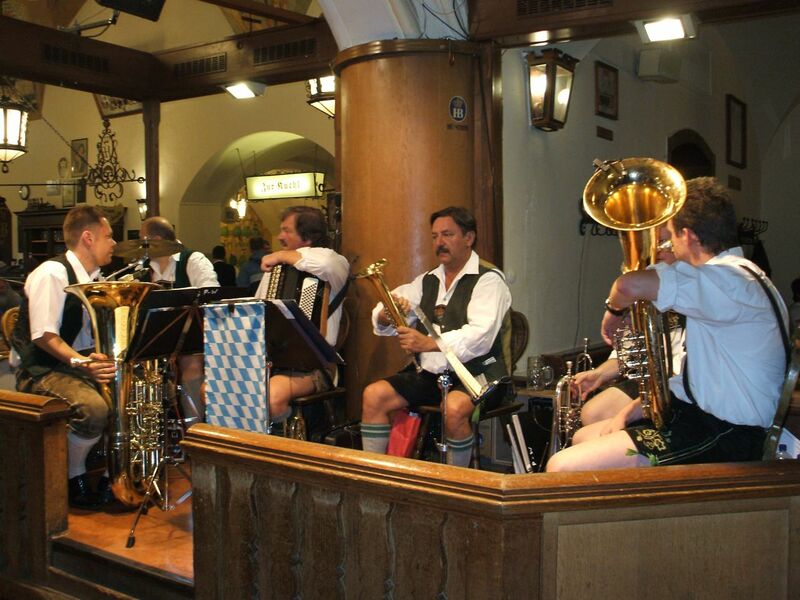 Actually, the Munich Beer Hall Putsch took place at Bürgerbräukeller. Ah, my mistake. The notes I had on the Haufbrauhaus claimed it was one of the Nazi meeting halls, and the place where Hitler proclaimed the 25 point theses. I must have assumed. I just discovered HB last night & found your site during my search for more information. I intend to come back for further reading! Hi, I don’t drink beer but my boyfriend does and he loves HB. 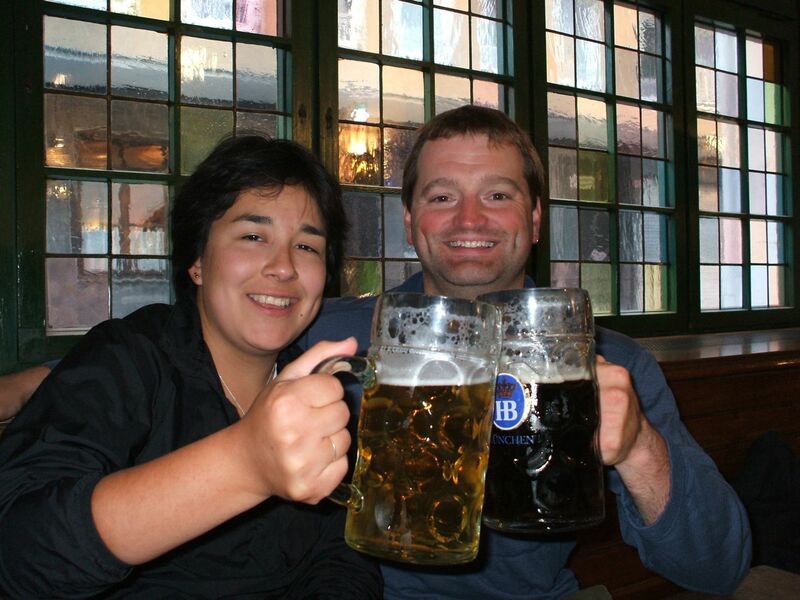 I was looking through old photos and he is drinking a darker beer, but from the beer hall, in his HB glass. Looks like the one on the left in the photo above with the two glasses of beer. Can you tell me what kind or style of beer that is so I can find it for him as a gift? If it wasn’t a surprise, I would just ask him. 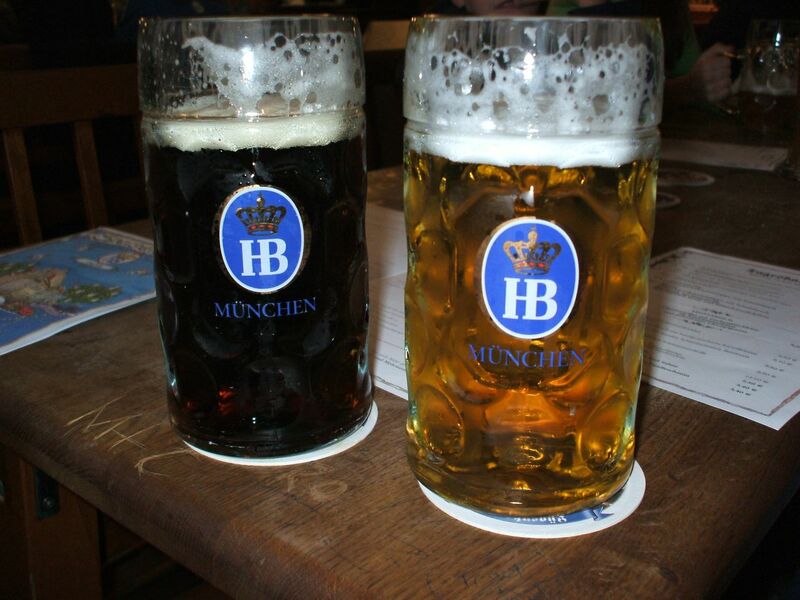 Its just the Hofbrau house’s dark lager, also known as their Dunkel Lager. I’m sure you can find it at any store that sells Hofbrau products. If pressed, any Dunkel Lager of German origin could do.